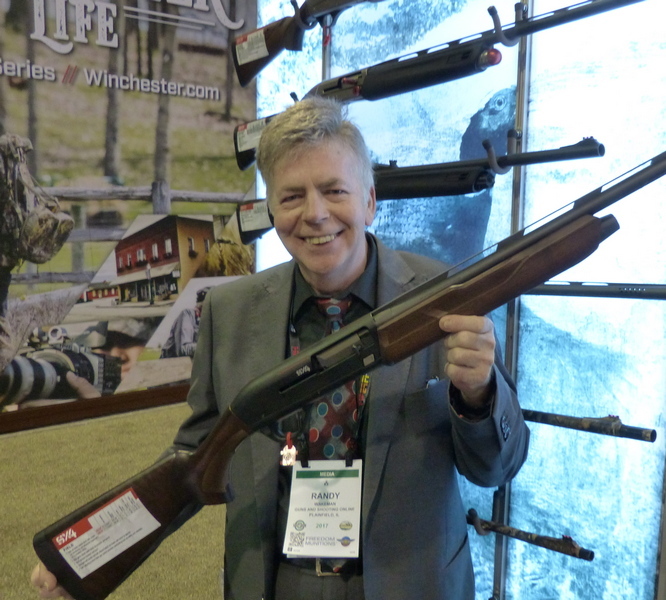 Winchester brand of Herstal Group has introduced the “SX4” 12 gauge autoloading shotgun and it is puzzling. The SX4 still has the same heavy trigger as previous SX2 and SX3 models, the same Active valve gas system, and so forth. A dinky, smallish pistol grip has been added, although the SX3 pistol grip is preferable to me and I've yet to hear anyone suggest that it was large, much less overly large. The weight has been shifted forward slightly, exactly what I don't want in gas autoloading shotguns that are generally too muzzle heavy to begin with unloaded and worse when you load them. A larger, odd-looking recoil pad has been added, which doesn't seem to do anything that the Inflex pads on the Browning Maxus doesn't already do better except add a touch of ugly. The button shaped bolt release has been replaced by a rectangular bolt release that doesn't stick out any farther or work any better. The Super X4 Waterfowl Hunter has a MSRP of $939.99 in 3 inch chamber, the plain black plastic version is $799.99, the walnut Super X4 Field at $939.99 with some of the lowest grade, figure-free walnut stocks I've seen put on a Winchester / Browning / Herstal Group autoloader. Although the SX4 is “built for speed” the models I shot had sluggish bolts and failed to feed. Normally, when there is new model designation, I expect there to be something in the way of a significant performance enhancement or feature set, somewhere. That is distinctly not the case with the SX4. If the SX4 was shipped out in SX3 boxes, most people wouldn't readily notice. A bit different recoil pad and a differently shaped bolt release screams “Brand New Model” to no one. In 2013-2014, the Euro often was worth about $1.35 U.S. Today, the Euro is only worth $1.06 or so, so all imported firearms tethered to the Euro should be cheaper today in the U.S. Compared to a few years ago, whether they actually are or not. The SX4 does come in at a slightly reduced MSRP from the SX3, but other than that the Super X Model 4 just isn't particularly super. It is hard not to come away knowing that the SX4 is a clear, obvious downgrade from my old SX3 models. But, the price has been lowered as well, so I suppose this is understandable. It isn't hard to see what was done to make it cheap, for the alloy trigger guard of the SX3 is now a strange blob of plastic, and the metal front bead has gone the plastic Truglo route as well. It is the most plasticy of the Super-X line ever made. With Herstal Group headquartered in Belgium, I supposed it should not be all that surprising that the better-finished and more innovative products get the Browning nameplate, and the Winchester-logo stuff gets second-rate product. 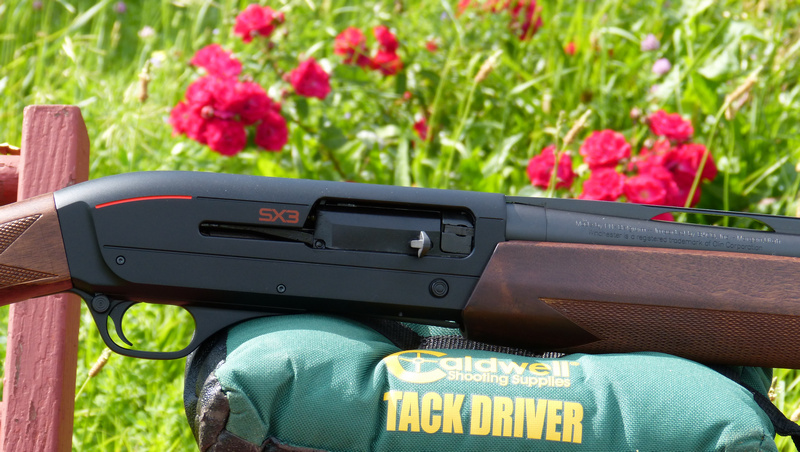 It is just getting more and more apparent, due to the Turkish made Winchester SXP pump and now, with the SX4.